Client Spotlight: Shines on Arynn Collins! started working out with Anneliese in the fall because I wanted to learn how to start lifting and get rid of those extra pounds. We began with one session every so often, then once a week, and I found that once was just not enough so we added an extra day. I noticed that my motivation began rising when I started seeing her twice a week and that I was getting stronger than I ever thought I would be! I struggled a lot with eating since my family isn’t very supportive of healthy, clean eating but Anneliese helped me to create simple meal plans, which helped me a ton!! I lost inches all over my body, despite not eating correctly all the time, and she proved to me every session that I was getting stronger. She has taught me so much, ranging from the importance of food and workouts to life and family advice (which I would probably be lost without!) and I could never thank her fully for that. Anneliese is always there for me and I’m so unbelievably grateful for her help in all aspects and I love her to death! She is my biggest inspiration I could never give up my love for working out because of her. Words can’t begin to describe how thankful I am that she’s in my life, so I’ll have to settle for two little words: THANK YOU! 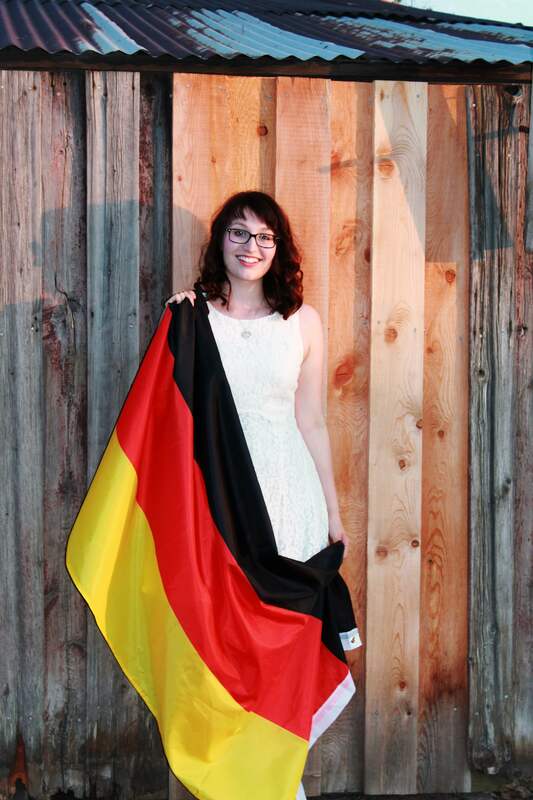 Arynn is a recent graduate of Capital High School and received a scholarship to study abroad in Germany! Her hard work has paid off in so many differnt ways. CONGRATS Arynn! !